Look at all those transistors! 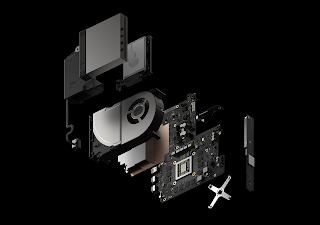 Microsoft revealed some more information on their Xbox One refresh, project Scorpio. This kind of mid-cycle upgrade is still a new thing in the console space, so we use the new information as a starting point to check in on the PlayStation 4 Pro, the state of 4K and HDR, and the current console exclusives. Additionally, we almost talk ourselves into buying a Game Boy camera and printer. - Listen to the podcast in your browser by clicking here, right-click and select "save as link" to download the show in MP3 format, or click play below.